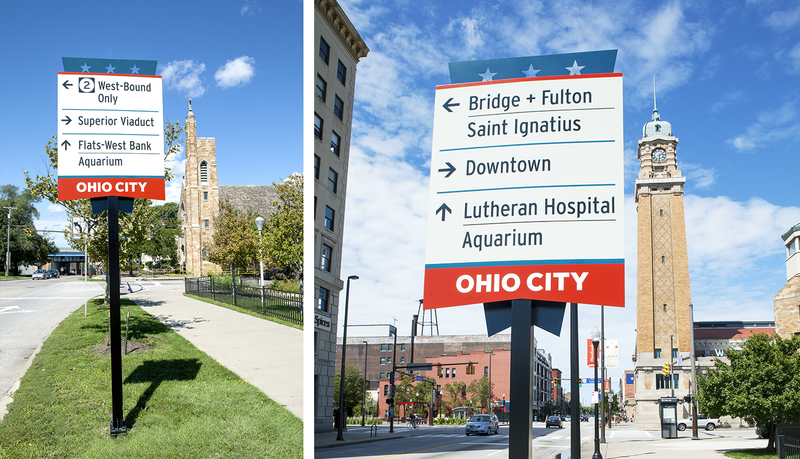 One of the oldest and most historic neighborhoods in Cleveland, Ohio City underwent the design and implementation of a new brand to enhance and further promote the neighborhood. 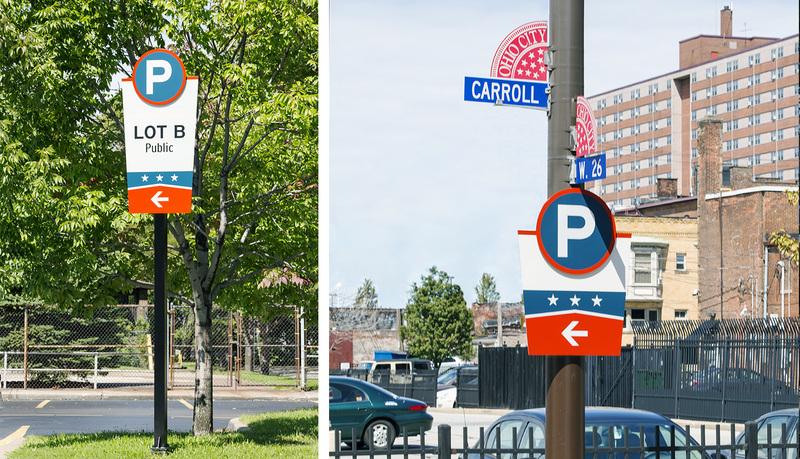 ASI was asked by Studio Graphique to manufacture wayfinding signage that would help visitors navigate this historic neighborhood. 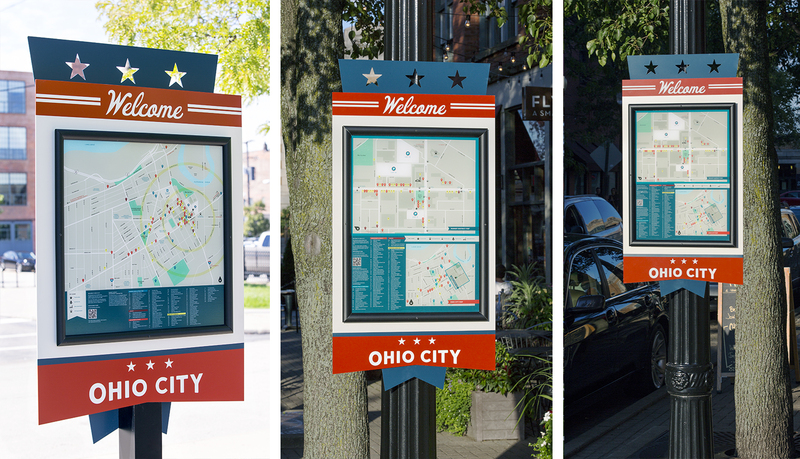 The City wanted a new wayfinding signage solution to assist visitors in navigating Ohio City. 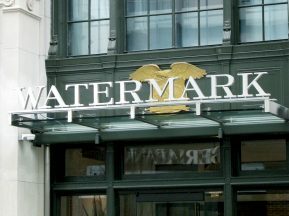 Being an outdoor solution, the signage needed to be very durable in order to withstand the harsh winter conditions in Cleveland. It should also reflect the iconic nature of the neighborhood. 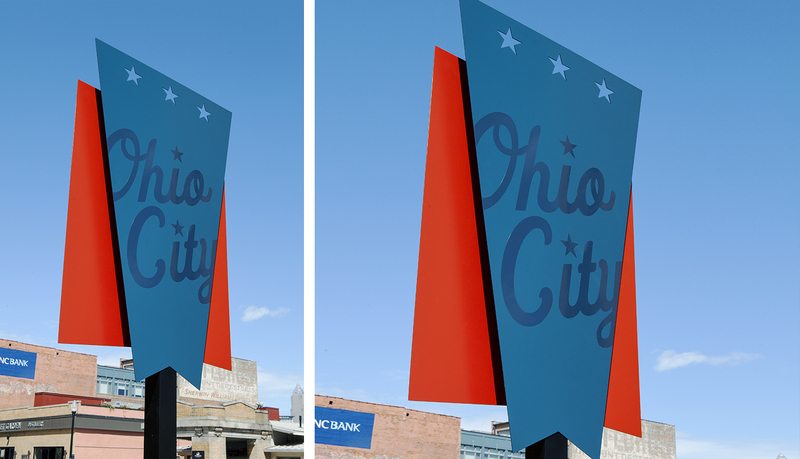 Further, they envisioned a signage solution that was a mix of the old and the new identity of Ohio City and one that had an aesthetic appeal. Lastly, they preferred their solution to be simple and not overcomplicated. The analysis and wayfinding was done by Studio Graphique. 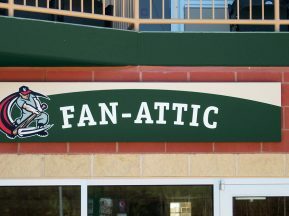 ASI’s mandate was to fabricate and install the signage. 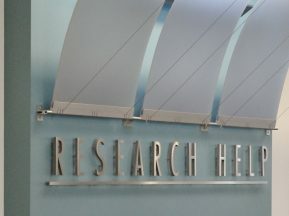 The signage consisted primarily of post and panel signs with the panels mounted on a single post. The panels are quite modern and reflect the new Ohio City while the posts reflect the old Ohio City. The posts are square black posts with a very ornate base. ASI encountered certain fabrication challenges. The size of the panels at 24” x 48”, created a challenge. With such large panels, the wind load factor becomes an issue that had to be considered given the high winds that accompany a Cleveland winter. Special custom mounting brackets had to be procured to ensure stability, security and durability. 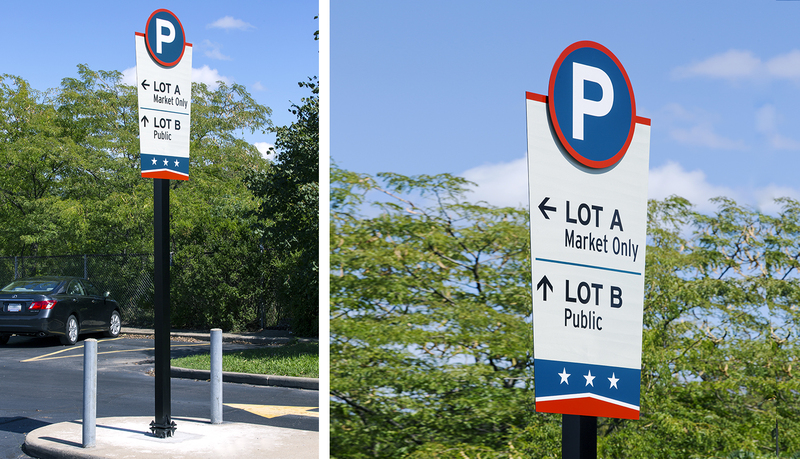 Further, the stacking of multiple layers on the signs were difficult and mounting them to the existing poles required some engineering adaptability. 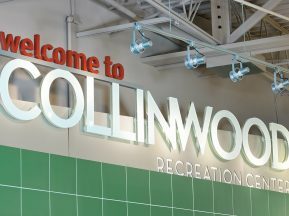 As often is the case with public facilities, there were budgetary constraints and the signage had to be fabricated and installed within the parameters of the budget.